All Devices. Faster UI. Open Source. It’s the same Baconit you know and love, but now it run on all of your Windows devices. Joining classic features like flip view, new features such as the global subreddit selector have been added to make Baconit even more delicious. Baconit will be fully Open Source under the GPL license. With the community’s help, we can evolve Baconit beyond our wildest dreams… come join us. I mean come on. You can run it on your HoloLens, Xbox, tablet, and PC. Reddit all the things! Join the subreddit for Updates! 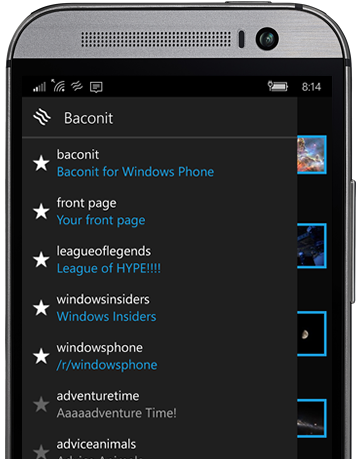 Baconit is a reddit app developed for Windows 10 by Quinn Damerell. Started as a side project during college, it has transformed over the years into one of the largest apps on the Windows Phone store. 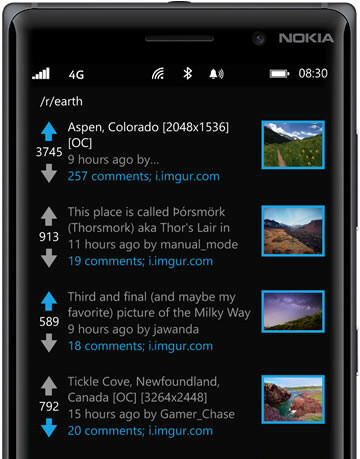 Now it has been reimagined for the Windows 10 platform and open sourced in order to pave the way for the future of redditing. Quinn Damerell is a twenty-something year old software developer living in Seattle, Washington with his fiancée and dog Lulu (Beans, Lulu Beans, Beans Beans Beans). He is affectionately known among friends as Quinn Damerell, THE creator of Crack the Whip. © Quinn Damerell | Crafted by Marilyn Welniak because I was doing it wrong.